IRIS (0010) succeed breakout RM0.145 resistance level. 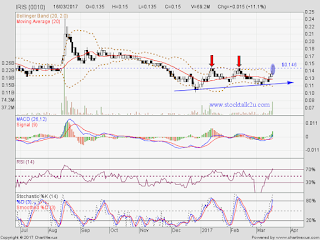 MACD at positive region, uptrend itinerary. 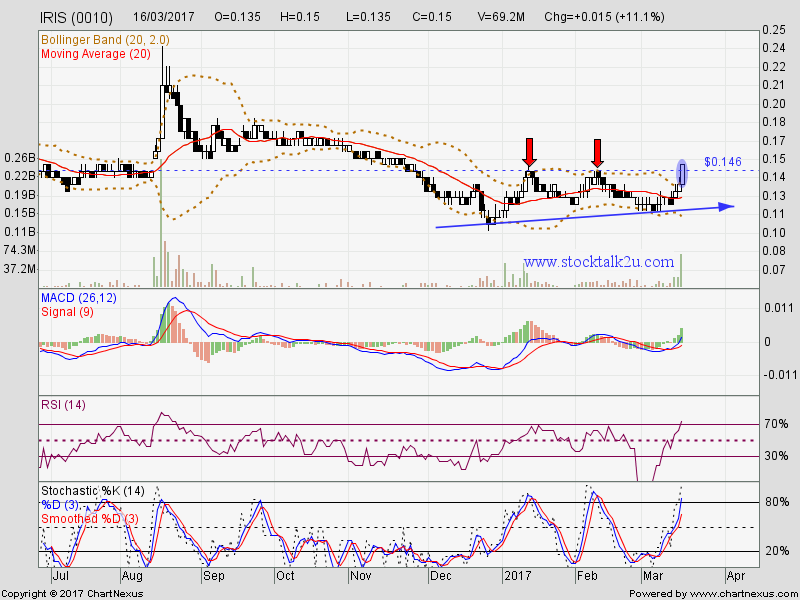 Immediate resistance @ RM0.15 level. Subsequent resistance @ RM0.18 level. Immediate support @ RM0.145 level. Subsequent support @ RM0.135 level.